Volkswagen has begun testing a fleet of 5 e-Golfs equipped with advanced autonomous driving technology on the streets of Hamburg, Germany. 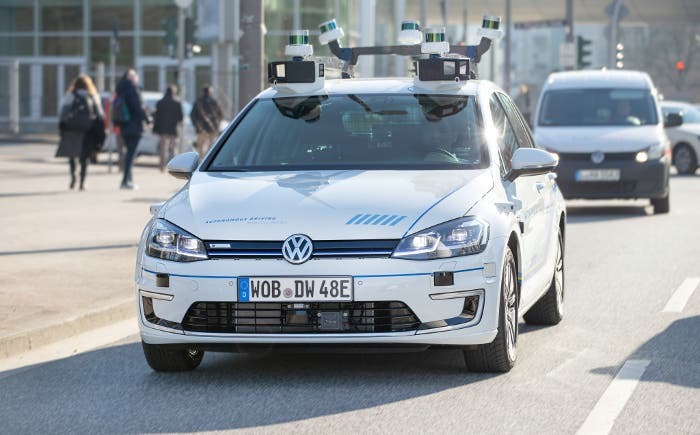 “Test drives in an urban environment give us an excellent opportunity to make further progress with automated driving,” says Axel Heinrich, VW’s head of group research. 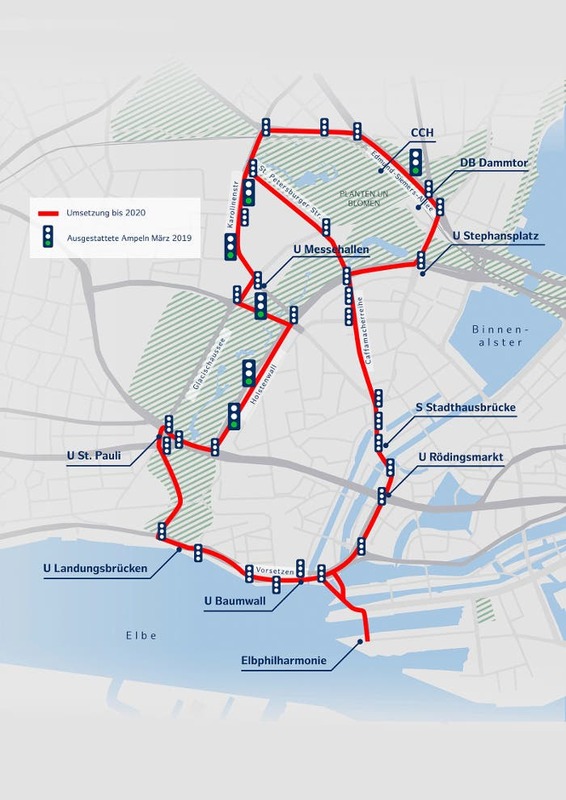 Volkswagen and the city of Hamburg are collaborating to build a 9 kilometer test loop through the downtown area. Among other improvements, the city is installing intelligent traffic signals that are capable of two-way communications with the test vehicles, according to Traffic Technology Today. The test vehicles will be monitored by a trained driver at all times — no more Tucson-like fatalities, please. Each of the test vehicles is equipped with 11 laser scanners, 7 radars, and 14 cameras that are together collecting up to 5GB of data per minute. The test drives each last several hours. 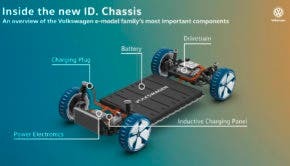 The cars may be ugly — give Tesla credit for designing autonomous driving systems that integrate seamlessly into its cars — but the state-of-the-art sensor technology ensures that data on pedestrians, cyclists, other cars, intersections, rights of way, parked vehicles, and lane changes in moving traffic are captured in milliseconds. The computer sits in the cargo compartment of the cars and makes use of deep learning, neural networks, and pattern recognition. The software must register all relevant objects and respond to them without triggering any false alarms.